A car dealership has donated a brand new vehicle to a local hospice charity for its work. It’s the second consecutive year that Bolton Kia in Harwich has stepped in to help Bolton Hospice by providing it with a vehicle. 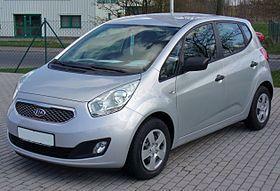 This year, it has supplied Kia Venga 3 and last year, it gave the charity a Kia Soul vehicle. Supporting local charities can be a key part of a company’s corporate social responsibility actions. You may not have the financial clout to donate a new vehicle but you can offer charities use of your cars to help with their work. If you provide your vehicles to charities or local organisations, make sure you have the right level of motor trade insurance and road risks insurance to cover the support that you offer. Bolton Kia has been working with the hospice for the last seven years. In addition to the hospice itself, the charity runs a number of shops raising money to fund its work. The car will be used by the hospice’s staff and volunteers to take them around the shops and in their other work for the hospice. Bolton Kia’s marketing executive Lynsey Greaves told the Bolton News: “We are really pleased to be able to continue to support Bolton Hospice by providing them with a brand new Kia Venga. Bolton Hospice provides free support and facilities to people who use its health services. Spokeswoman Alice Atkinson said the charity was “overjoyed” to receive the Kia Venga.